Poodle loves to doodle. The problem is, she sometimes gets carried away - walls, doors, floors, no surface is safe! The naughty poodle is soon in trouble. But could her alfresco drawing skills actually come in useful? 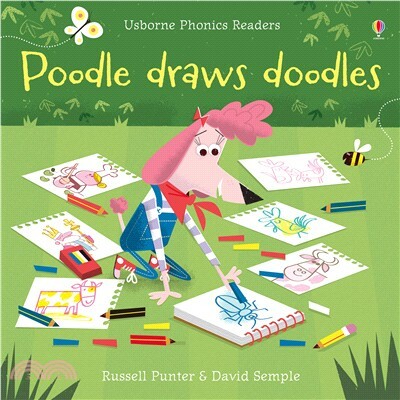 Find out in this colourful addition to the popular Phonics Readers series.